Premium, four-ply yarn mop lies flat on floor. Standard 1/4" threaded bolt head for easy screw-in mop head change and galvanized metal outerband. Use with lie-flat screw-in mop handle, sold separately. 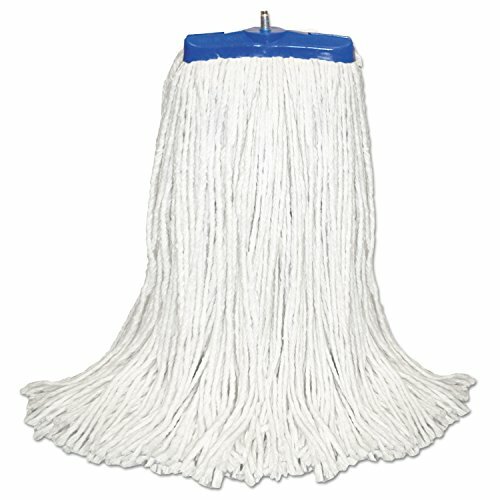 Head Type: Wet Mop; Application: Floors; Mop Head Style: Cut End; Mop Head Size: 16 oz. Premium, four-ply yarn mop lies flat on floor. Standard 1/4" threaded bolt head for easy screw-in mop head change and galvanized metal outerband. Use with lie-flat screw-in mop handle, sold separately. Boardwalk® Cut-End Lie-Flat Economical Mop Head. Premium, four-ply yarn mop lies flat on floor. Standard 1/4" threaded bolt head for easy screw-in mop head change and galvanized metal outerband.